Storytelling is so hot right now. The Moth. Risk. This American Life. Rain City Chronicles. Telling Tales. The Flame. 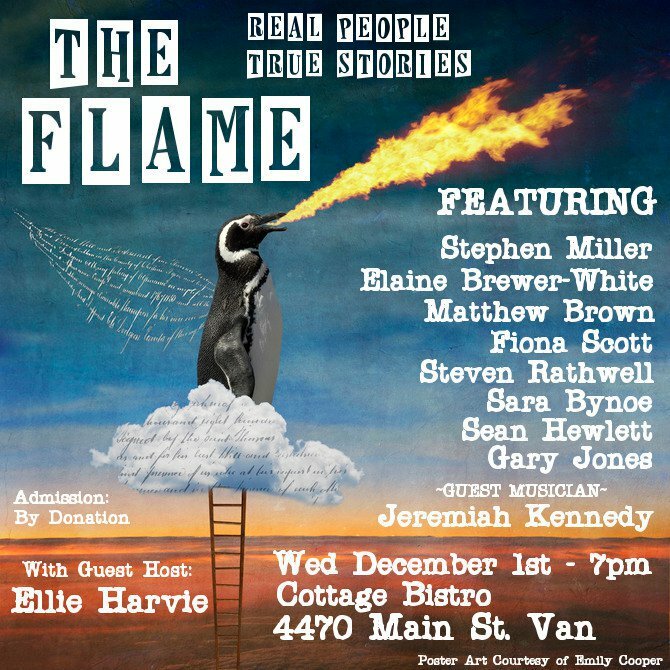 I’m going to be telling my famous* Christmas story at this show on the first of December. You should be there. I might make you cry. At the very least I hope to inspire you to buy me a drink afterward. *By famous I mean my BFF’s family talks about this story every year. It’s practically a tradition in their home.